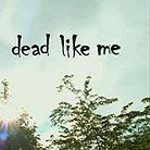 Starting with the death of protagonist, George, Dead Like Me follows the afterlife journey of the undead. Working as a grim reaper of sorts, George is tasked with taking souls of the recently and soon-to-be dead. This dark comedy drama follows both George’s exploits as well as the plight of her family as they try to cope with her death in different ways.